Although the Ukrainian Music Fair (Ukrayinskyi Muzychnyi Yarmarok 2013) in Kyiv is essentially a music fair, there was scope for Cortmi Ltd, one of the co-founders of this trade show and the territorial distributors for PR Lighting, to show off some of the Chinese manufacturer’s key fixtures. 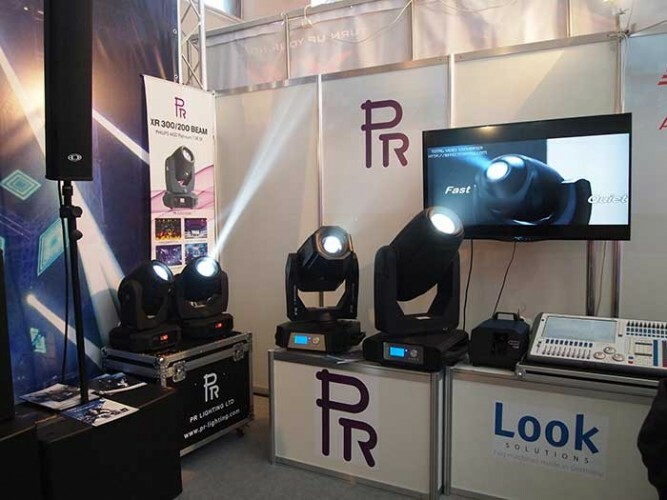 From their stand at the National Complex Expocenter of Ukraine the Donetsk based technology specialists displayed a number of PR Lighting’s popular discharge and LED portfolio items. These included the XR300 Beam, XL1200 Framing, PR-5000 and for the architectural market, the ARC LED 3216 and XPar 390. Cortmi marketing manager, Stanislav Serbin, reports that a lot of interest was shown by potential customers with future installations and event-led projects in mind. In picture: Cortmi’s PR Lighting presentation at the Ukrainian Music Fair.